Strokes can happen to anyone. But strokes in elderly are more common. The senior population is more at risk because of other underlying medical conditions. Keep yourself updated on the warning signs and treatment options. How a person is affected depends on the part of the brain where the stroke occurred. Each person's brain reacts differently, and what happens can vary from person to person. Most strokes are preventable. If you are aware of the signs of a stroke, you can act fast and prevent further brain damage. The FDA has approved a drug that is a clot buster and has proven to reduce long-term problems associated with a stroke. This medication must be given within three hours of symptoms to be effective, which is why prompt response is essential. Symptoms commonly affect one side of the body and can come and go. Many strokes happen while the person is sleeping so they are not aware until they wake up that something has happened to them. All of these signs may appear suddenly and should be taken seriously. Women are at greater risk than men and should be aware of warning signs. If you or someone you know experiences any of these symptoms, call 911 immediately. Once a person is taken to the hospital, a series of tests will be performed to evaluate the person's condition. 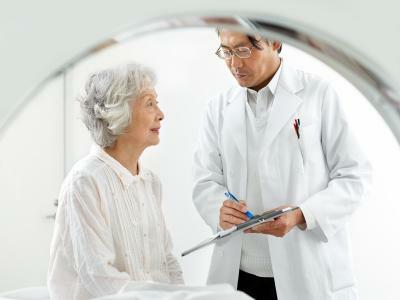 Neurological exams, CT scans, MRI and lab tests are all common procedure. Staying fit and exercising regularly is advised for people of all ages, especially the elderly. Those who have had previous strokes or a heart attack are also at risk. Following up with your health care provider and taking all necessary steps is essential for prevention. Many are advised to take an aspirin daily to further reduce the risk of stroke. Strokes in elderly people are quite common. Treatment and recovery vary depending on the person. Most people need rehabilitation and those severely affected may require long-term care. Physical, occupational and speech therapists assist those with their recovery and if the person returns to their home, their caregiver is often given instructions on how to properly care for them. There are endless resources to help those who have had a stroke and their family members as well. Both the American Stroke Association and the National Stroke Association have sites online filled with valuable resources as well as contact information. Being well informed is one of the most important factors in reducing the risk of stroke and maximizing recovery after a stroke should one occur.